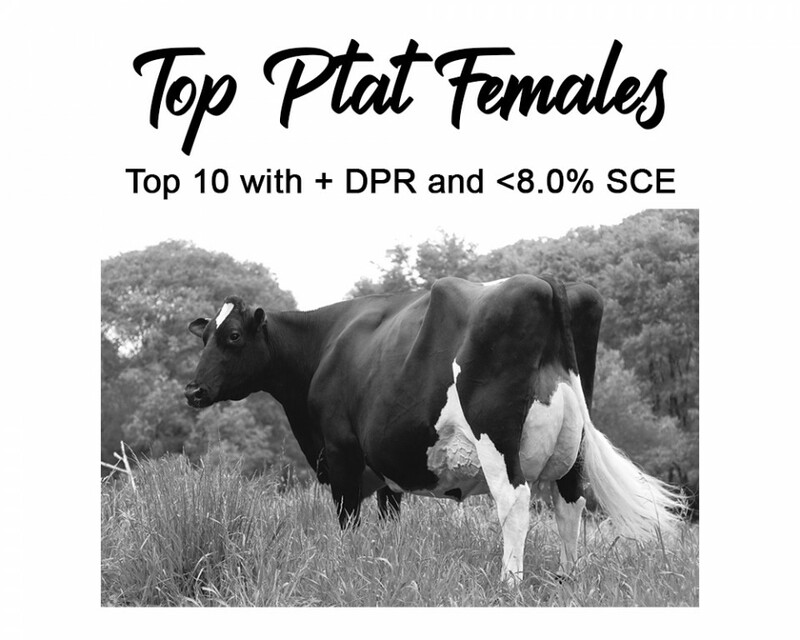 The list with the top ranking PTAT females in Europe with a positive DPR and <8.0 % SCE is online now. Topping the list is Gen Brylo (s. Undenied) with +4.24 PTAT, +0.8 DPR and 6.9% SCE. 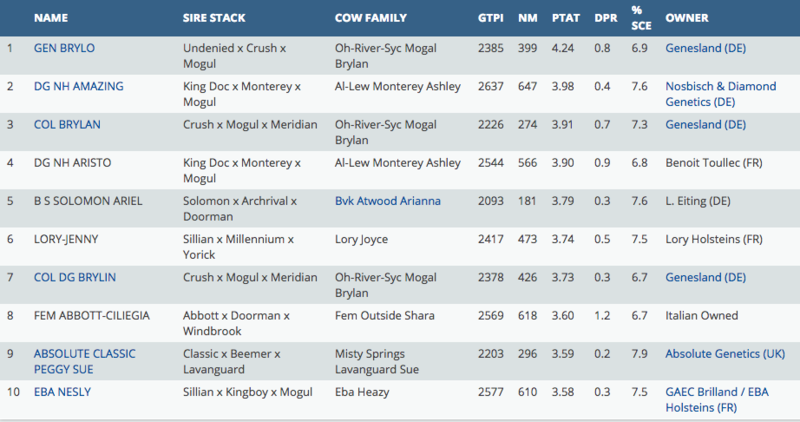 Her dam Col DG Brylan (s. Crush) is also in the list with the 7th position, she is the full sister to the type sensation Col DG Crushtime (+4.01 PTAT) at ST-Genetics. De second one in the list is DG NH Amazing a King Doc sister to the gTPI sire giant: ARISTOCRAT (+2869 gTPI, +2.76 PTAT). Amazing is also the #12 PTAT Calf in Europe and her dam Ashley is the ONLY cow in the breed combining >2645 GTPI with >3.65 PTAT and scored with VG-89-USA EX-MS La1. The #9 in the list Absolute Classic Peggy Sue is a special one, she is an OConnors Classic daughter form the showwy Absolute Beemer Suzy Sue VG-87-UK 2yr. Ending the list is Eba Nesly a Sillian daughter form the deep French cow family of EBA Clara VG-89-FR. To contact Absolute Genetics, click here or use the following contact information. To contact Nosbisch Holsteins, click here or use the following contact information. To contact GAEC Brilland / EBA Holsteins, click here or use the following contact information.